The collection of poetry, Tadhall by Pauline Nic Chonaonaigh, published by Cló Iar-Chonnacht, which features photographs by Simon Boyle, will be launched at a special evening of poetry and music in Seanscoil Sailearna on Friday, 12 April at 8:00 p.m. The event is being organised by Cló Iar-Chonnacht in association with the Cúirt festival. Entry is free of charge and all are welcome to attend. 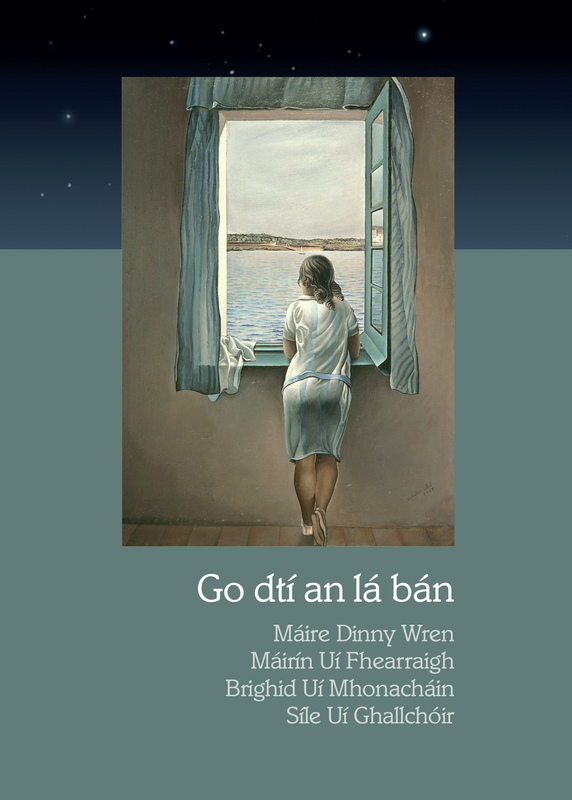 Local author and academic, Máire Ní Neachtain, will be the host on the evening and poems from the collection will be read aloud by Deirdre Nic Chonaonaigh, Síle Nic Chonaonaigh and Maidhc P. Ó Conaola, accompanied by the distinctive music of Johnny Óg Connolly. 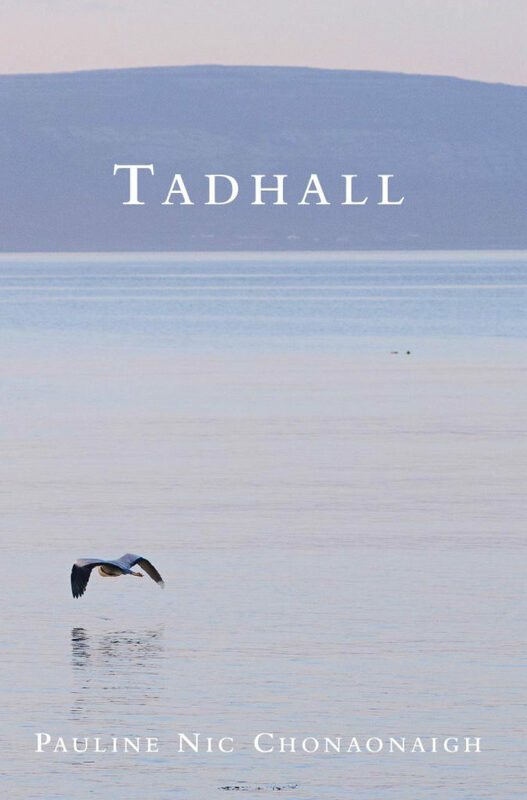 In Tadhall, her first collection, Pauline Nic Chonaonaigh finds inspiration in the small miracles she sees in the world around her: swallows on their journey, the light of the moon piercing clouds or the contrast between the palpable intensity of stillness and the ripping ferocity of a storm. 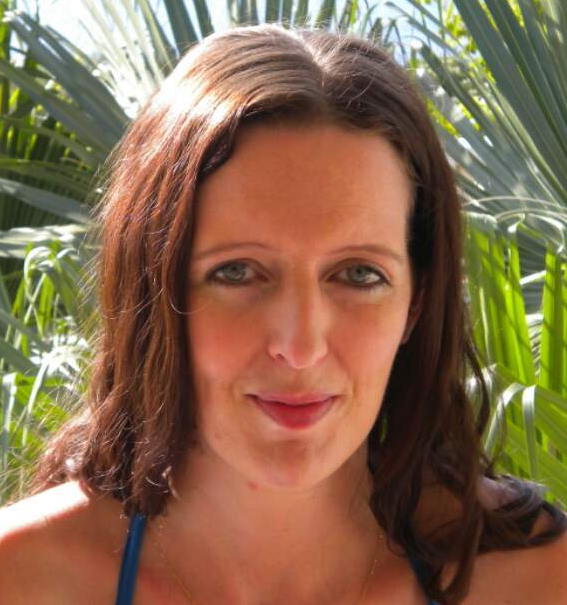 Pauline Nic Chonaonaigh was born in Galway, and although she spent most of her childhood in the city, she always had a strong connection to Cois Fharraige, as both of her parents were originally from that area. She spent the summers of her youth in Spiddal and that is where she married and settled down and raised her family. 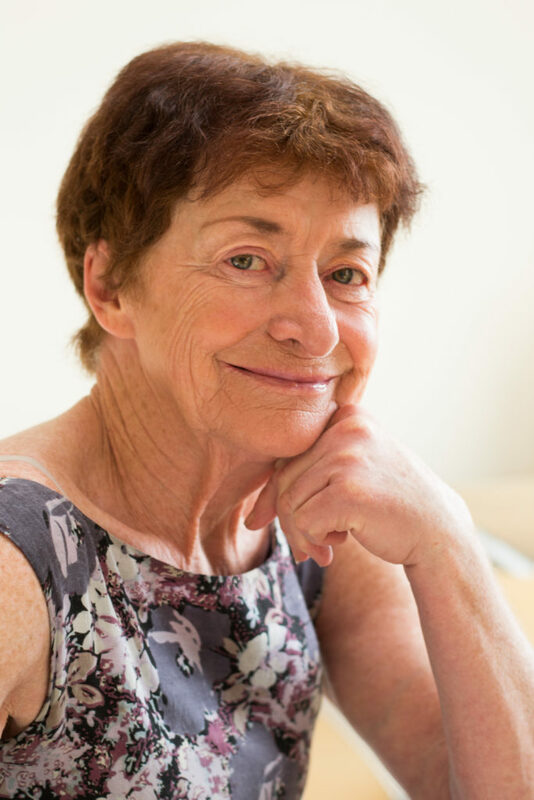 Pauline worked with the National University of Ireland, Galway, until her retirement in recent years. Her poems have been published in Comhar, Feasta, An tUltach and Northwest Words. This collection won the first prize in the Oireachtas na Gaeilge Literary Competition for New Writers in 2016. Simon Boyle lives in Spiddal, Connemara, with his wife and their two daughters. He takes inspiration for his photographs from the beauty of the surrounding landscape and in the beauty of the simple relationships between people. Seolfar an cnuasach filíochta Tadhall (Cló Iar-Chonnacht) le Pauline Nic Chonaonaigh), ina bhfuil grianghrafanna le Simon Boyle, ag tráthnóna speisialta filíochta agus ceoil i Seanscoil Sailearna ar an Aoine, 12 Aibreán ag a 8:00 i.n. Tá an ócáid á reáchtáil ag Cló Iar-Chonnacht i gcomhar leis an bhféile Cúirt, tá cead isteach in aisce agus tá fáilte roimh chách. Is í Máire Ní Neachtain a bheas ina bean an tí, agus beidh dánta á n-aithris ag Deirdre Nic Chonaonaigh, Síle Nic Chonaonaigh agus Maidhc P. Ó Conaola, le ceol sainiúil ó Johnny Óg Connolly. Sa leabhar Tadhall, a céad cnuasach filíochta, tugann Pauline Nic Chonaonaigh suntas do na míorúiltí beaga sa domhan mórthimpeall uirthi: fáinleoga ar a dturas, solas na gealaí i gcomhrac leis na néalta; nó an chodarsnacht sin idir duairceas an dorchadais agus ardú meanman in éadroime an tsolais idir ollchiúnas an dúlra agus réabadh fíochmhar na stoirme. I nGaillimh a rugadh Pauline Nic Chonaonaigh agus cé gur ann a chaith sí formhór a hóige, bhí an-nasc aici riamh le Cois Fharraige, mar gur as sin a d’eascair a muintir agus ba sa Spidéal a chaitheadh sí gach saoire agus gach samhradh. Is ann a chur sí fúithi nuair a phós sí agus is ann a thóg sí a clann. In Ollscoil na hÉireann, Gaillimh, a bhí sí ag obair go dtí go ndeachaigh sí ar scor roinnt blianta ó shin. Tá dánta léi foilsithe i Comhar, Feasta, An tUltach agus Northwest Words. Bhuaigh an cnuasach seo an chéad áit i gComórtas Liteartha an Oireachtais do Scríbhneoirí Úra in 2016. Tá cónaí ar Simon Boyle sa Spidéal i gConamara lena bhean chéile agus beirt iníon. Tógann sé inspioráid dá ghrianghraf ón gceantar álainn ina bhfuil cónaí air agus ón áilleacht sa chaidreamh simplí a fheiceann sé idir dhaoine. Úrscéal suite i bhfo-ionad sonraí, i nDoire, ar imeall na hImpireachta, sa bhliain 2584. Na rudaí is tábhachtaí san Impireacht ná dualgas agus dílseacht. Níl an focal “rogha” san Empirish, teanga na hImpireachta. Tagann Diarmuid and Gráinne, oifigigh mheánchéime de chuid na hImpireachta, leis an fho-ionad a dhruidim agus an t-oifigeach bunchéime, Makaronik, a thabhairt ar ais go dtí an Lár leo. Sin an dualgas s’acu. Níl aon rogha acu. Ach diúltaíonn Makaronik dul leo. An bhfuil an rogha aici? Sliocht as alt le Ian Ó Caoimh: Is í Makaronik an fostaí sóisearach deiridh de chuid na hImpireachta atá fágtha ar spás-stáisiún coimeádta sonraí i bpaiste den spás ar a dtugtar Doire sa bhliain 2584. Nuair a thagann beirt oifigeach sinsearach ó Lár na hImpireachta chun a haonad a dhúnadh agus na sonraí ar fad a choimeádtar ann faoi na teangacha sin atá fós beo a chur ar neamhní, ionas go múchfar na teangacha sin, músclaítear féiniúlacht neamhspleáchais inti den chéad uair. Cuireann sí i gcoinne na beirte, Diarmuid agus Gráinne, agus na hImpireachta a bhfuil siad ag gníomhú thar a ceann. Casann Makaronik blúirí de shean-amhráin dhátheangacha atá stóráilte i gcuimhne an aonaid, rud a chuireann alltacht ar lucht na hImpireachta ar dtús ach a mhúsclaíonn comhbhá amhrasach eatarthu agus a réitíonn an bealach do sheift chróga, fhrithúdaráis. Saothair a shuitear i bhfad ó bhaile nó i dtréimhse ama, an todhchaí go háirithe, is gnách gur chun léamh meafarach a dhéanamh ar dhálaí an bhaile agus an am i láthair é agus is amhlaidh don úrscéal gearr seo atá scríofa i nGaeilge neamhchasta. Bua amháin atá ag ‘Makaronik’ ná an casadh úr a bhaintear as an Amhrán Macarónach ann, genre nach n-athchúrsáiltear chomh minic céanna le cineálacha eile litríochta. 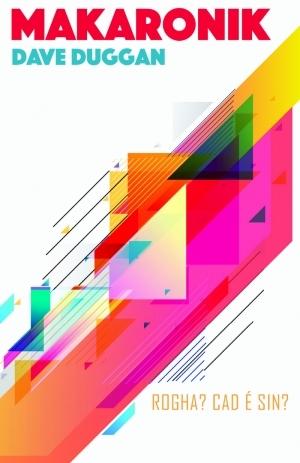 Ach is é a phríomhbhua an athnuachan dhóchasach a dhéanann an t-ú∂ar ar cheann de thosca ginte na n-amhrán sin aniar as Éireann i ré an athraithe teanga: gur féidir le saibhreas na samhlaíochta dúchais an lámh in uachtar a fháil ar lucht cos ar bolg. 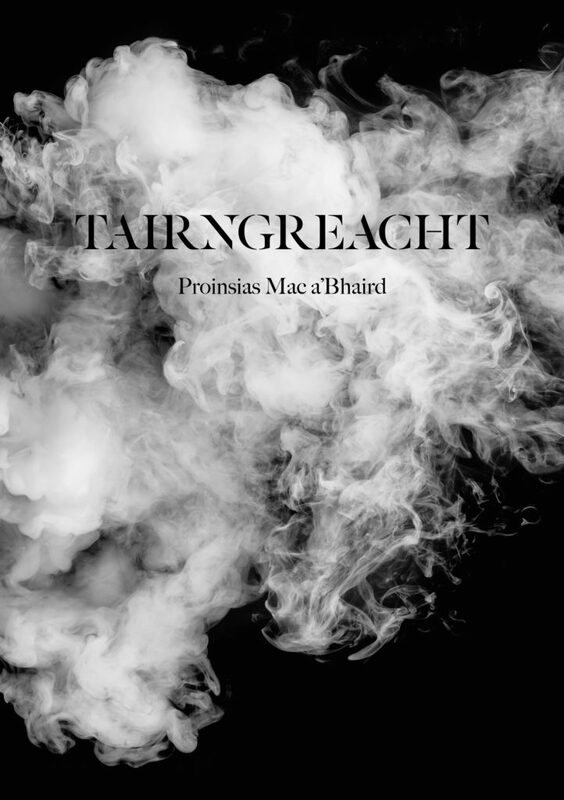 Tá pobal léitheoireachta na Gaeilge ag dréim le fada le húrscéal nua ó Phroinsias Mac a’ Bhaird ón uair gur foilsíodh Rún an Bhonnáin (2010), ceann de na teidil is mó ráchairte ag LeabhairCOMHAR. Thuill rúndiamhracht agus plotaireacht bhríomhar an leabhair sin, faoi bhásanna mistéaracha amhránaithe seannóis agus a gceangal le scéal Chathail Bhuí Mhic Giolla Ghunna, cáil mar ‘Dan Brown na Gaeilge’ don údar. Go deimhin, is amhlaidh go bhfuil an teideal sin níos oiriúnaí fós do Phroinsias faoin tráth seo agus é anois tar éis úrscéal mistéarach eile a chur de, a bhfuil saol na Vatacáine mar chuid lárnach de – Tairngreacht (LeabhairCOMHAR, 2018). Suite idir an Róimh, Éire agus Alba, agus, fearacht Rún an Bhonnáin, idir réanna stairiúla éagsúla, scéal é Tairngreacht a ndéanann Proinsias cur síos air mar ‘m[h]istéir stairiúil a bhfuil impleachtaí aige don lá inniu’. Má tá Conchúr le teacht slán, caithfidh sé aghaidh a thabhairt ar sheict dhorcha a bhfuil a fréamhacha aici sa luathChríostaíocht féin, ach arís eile, an í seo an fíornamhaid? Mura n-éiríonn leis an mhistéir a réiteach in am, tiocfaidh an tuar faoi thairngreacht uafásach a rinneadh míle go leith bliain ó shin, tairngreacht a d’athródh an saol go deo! Mar cheiliúradh ar an éacht is déanaí ag an gConallach ildánach, agus de bharr an éilimh leanúnaigh atá air, tá sé beartaithe ag LeabhairCOMHAR leagan úr de Rún an Bhonnáin a fhoilsiú go luath chomh maith. Is cinnte go mbeidh an deacracht céanna ag léitheoirí an dá leabhar a leagan uathu! Tá fáilte curtha ag Cló Iar-Chonnacht roimh an bpobal chuig ócáid sa siopa ar an Domhnach, 16 Nollaig ag a 3:00 i.n., tráth a mbeidh Marion Ní Shúilleabháin, RTÉ Raidió na Gaeltachta ag léamh ón tsraith nua leabhar do pháistí, Bertie Brocach. Tá trí leabhar ón tsraith ‘Dirty Bertie’ aistrithe go Gaeilge ag Marion Ní Shúilleabháin agus foilsithe ag Cló Iar-Chonnacht. Foilseofar dhá leabhar eile ón tsraith an bhliain seo chugainn agus iad aistrithe go Gaeilge ag Gormfhlaith Ní Thuairisg. Is mór an spóirt iad na leabhair seo agus iad lán le spraoi agus greann. Tá jab den chéad scoth déanta ag Marion ar an aistriúchán agus is cinnte go mbainfidh idir óg agus aosta spraoi agus spóirt astu! Tá sladmhargadh na Nollag ar siúl ag Cló Iar-Chonnacht faoi láthair freisin agus tá lascaine de suas le 50% ar fáil ar leabhair agus dlúthdhioscaí sa siopa sa Spidéal. 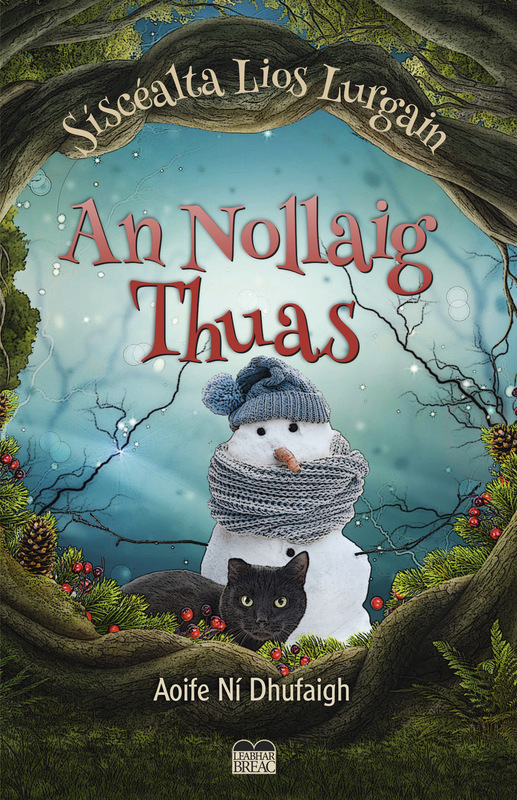 Beidh an siopa ar oscailt ar laethanta sa mbreis ag teacht go Nollaig, agus iad ar oscailt ar an Satharn 15 Nollaig agus ar an Domhnach 16 Nollaig ón 12 meánlae go dtí a 6.00 tráthnóna. Beidh na gnáthuaireanta oscailte ann freisin agus lá eile sa mbreis ar an Satharn, 22 Nollaig ón 12 meánlae go dtí a 6.00 i.n. Tuilleadh eolais le fáil ar shuíomh idirlín Chló Iar-Chonnacht ag www.cic.ie. 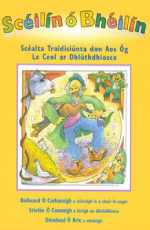 There will be a special event for children in the Cló Iar-Chonnacht book shop in Spiddal on Sunday, 16 December at 3.00 p.m. to celebrate the launch of the new series of books for children, Bertie Brocach. Cló Iar-Chonnacht are delighted to be joined on the day by Marion Ní Shúilleabháin, RTÉ Raidió na Gaeltachta, who translated the three titles from the ‘Dirty Bertie’ series of books, Pian, Bréantas, and Puiteach. 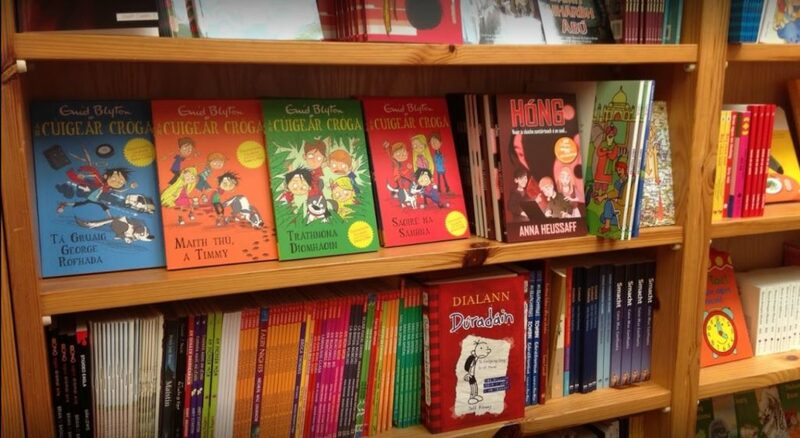 Marion Ní Shúilleabháin’s translations are absolutely brilliant and the books are hilarious and joyous to read and are sure to be enjoyed by young and old, alike! Marion will read a selection of excerpts from the books on Sunday and there will be loads of spot prizes and treats. Cló Iar-Chonnacht are also running their annual Christmas sale at the moment which runs until Saturday, 22 December and the book shop will be open for addtional shopping days coming up to Christmas. The Cló Iar-Chonnacht shop will be open on the usual opening hours and on the weekend of Saturday 15 and Sunday 16 December from 12 noon to 6pm on both days and on Saturday, 22 December to 6pm. Please visit the Cló Iar-Chonnacht website at www.cic.ie for further information, if required. 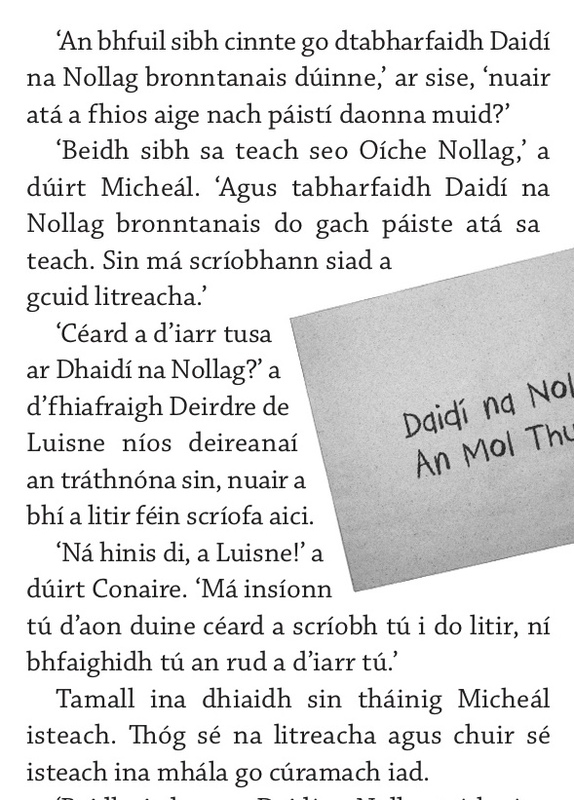 In An Nollaig Thuas, an tríú leabhar sa tsraith ‘Síscéalta Lios Lurgain’, castar na síoga Luisne agus Deirdre orainn sa Domhan Thuas (an domhan s’againne) agus iad ar saoire na Nollag lena n-aintín Gormlaith. Tá fainic curtha ar an mbeirt gan aird a tharraingt orthu féin i measc na ndaoine ‘thuas’ agus, thar aon ní eile, gan aon chleasa draíochta a imirt orthu. Ach nuair a thosaíonn beirt pháistí sa chomharsanacht ag piocadh ar Luisne agus ar Dheirdre, bíonn an-fhonn ar an mbeirt ceacht a mhúineadh dóibh. Ach cén chaoi a ndéanfaidh said é sin gan a thaispeáint do na Daoine Thuas gur síoga iad? Scríbhneoir do léitheoirí óga í Aoife Ní Dhufaigh agus tá cónaí uirthi in Inis Oírr, in oileáin Árann. Tá sealanna fada caite ina cónaí thar lear aici, agus tá sí anois ag plé leis an scribhneoireacht go lánaimseartha ar ais san oileán i gCuan na Gaillimhe arb as dá muintir. 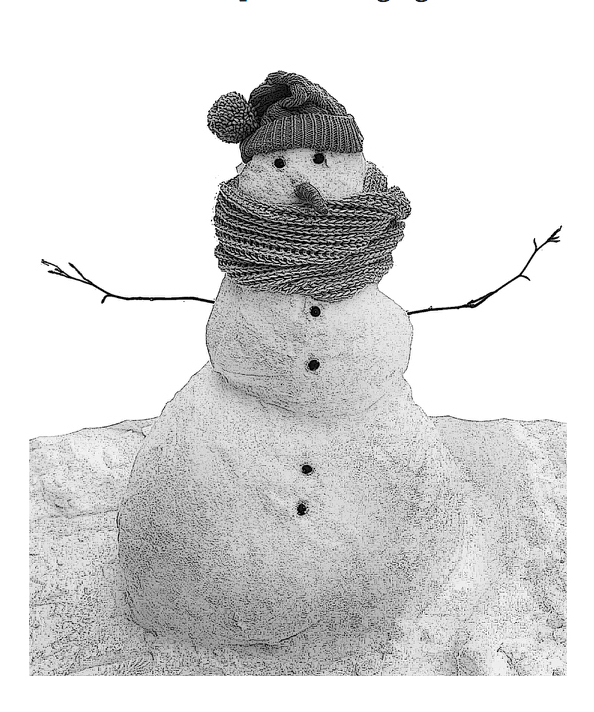 Chomh maith le An Nollaig Thuas, tá dhá leabhar eile sa tsraith ‘Síscealta Lios Lurgain’ scríofa ag Aoife, Éalú an Lios agus An tSióg Mhallaithe. Is é an t-ealaíontóir Caomhán Ó Scolaí a dhearaigh na leabhair ar fad sa tsraith, agus is mór an áilleacht na pictiúir bhreátha draíochtúla atá sa leabhar. Is é Diarmuid Johnson, údar Tuatha Dé Danann, a thug leis an duais do ‘Leabhar Gaeilge na Bliana’ ag gradaim litríochta An Post i mBaile Átha Cliath. 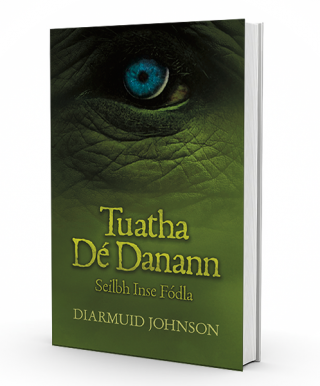 Tá an gradam do ‘Leabhar Gaeilge na Bliana’ buaite ag Tuatha Dé Danann le Diarmuid Johnson ag na mórghradaim litríochta, An Post Irish Book Awards, a bhí ar siúl i mBaile Átha Cliath an t-seachtain seo caite. 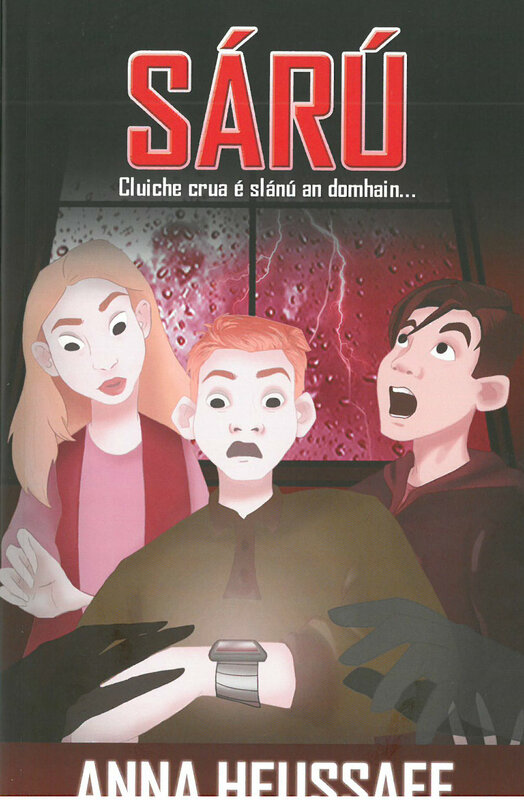 Seo an chéad uair riamh a bronnadh duais ‘Leabhar Gaeilge na Bliana’ ag na mórghradaim litríochta seo. Leabhar Breac, an teach foilsitheoireachta ag Darach Ó Scolaí i gCois Fharraige i gConamara, a d’fhoilsigh Tuatha Dé Danann. Sé leabhar a bhí ar an ngearrliosta do ‘Gradam LoveLeabhar Gaeilge’ An buaiteoir Tuatha Dé Danann le Diarmuid Johnson (Leabhar Breac), Fuascailt an Iriseora le Michelle Nic Pháidín (Cois Life), Táin Bó Cuailnge, le Darach Ó Scolaí (Leabhar Breac), Teach an Gheafta, le Cathal Ó Searcaigh (Leabhar Breac), Lámh, Lámh Eile, le Alan Titley (Cló Iar-Chonnacht) Ceannródaí: Luíse Ghábhannach Ní Dhufaigh, le Celia de Fréine (LeabharComhar). Mistéir, bulaíocht agus fadhbanna móra an domhain – tá siad go léir le sárú san úrscéal seo do léitheoirí in aois 11–15 bliain. Tá SÁRÚ an-oiriúnach mar ábhar léitheoireachta sa seomra ranga agus tá gluais ag deireadh an scéil. Is é SÁRÚ an tríú húrscéal do léitheoirí óga a scríobh Anna Heussaff. Bhí na príomhcharachtair chéanna in Vortex (Cois Life, 2006) agus in Hóng (Cló Iar-Chonnacht 2012), a bhuaigh Gradam Speisialta na Moltóirí ó Leabhar Pháistí Éireann in 2013. Tá imeachtaí físchluiche fite le mistéir agus contúirtí i SÁRÚ mar a bhí sna scéalta eile. Is cluiche nua é SÁRÚ atá á imirt ag Evan agus a chara Rio. An éireoidh leo an domhan a thabhairt slán sa chluiche, nó an gcuirfidh Crúb agus na bulaithe eile stop leo? An gcabhróidh Cara leo – an cailín nach ndéanann gáire? Maidir le Síofra, deirfiúr Evan, an imní is mó atá uirthise ná na bagairtí ón athrú aeráide sa domhan mór, agus tagann casadh mór sa scéal nuair a bhuailtear Baile an Chuain ag stoirm thubaisteach.